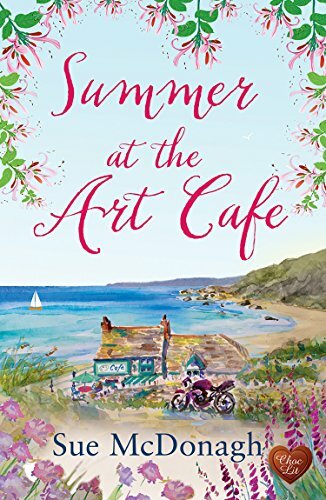 Summer at the Art Cafe is a fantastic read full of romance. And cakes. And art. And motorbikes. Naturally they all go together! Lucy is an artist and co-owner of the Art Cafe. Things have not been going so well in her marriage to Gerry (such an awful character!) and when she wins a powerful motorbike, he laughs at her saying she’s too fat, will never manage to ride it and should just sell it. Determined not to be bullied by him any longer, she decides to prove him wrong and starts taking lessons under the watchful eye of Ash, a policeman who does bike training on his rest days. Now biking is not my thing, I can’t imagine ever going on a motorbike, but even I found the idea appealing as I read about Lucy learning how to ride. I must admit that perhaps the appeal had something to do with the lovely Ash! The author wrote so well about the camaraderie and support of the lady bikers’ group as well. I really liked Lucy. She is a woman who is feisty and sticks up for herself yet has her vulnerabilities too. Ash was a typical ChocLit hero – gorgeous, caring yet not without difficulties from his own past to cope with. These two people with all their life experiences, joys and disappointments could clearly complement each other. There were more than a couple of bumps in the road to true love – literally in the case of the motorbike training! – with Lucy dealing with her nasty husband who didn’t treat her as she deserved to be treated and a jealous sister in law with designs on Ash. I loved Ash’s wee daughter Daisy and all the waifs and strays they took in to their home. If you are looking for good old fashioned romance, a book from ChocLit is where to look. I don’t think there’s been a single one which has disappointed. I must mention the gorgeous cover of this book which was painted by the author. It is just perfect for the book and sets the scene beautifully. Having finished the book with a happy sigh, I was delighted to read at the end that this is the first in a series of books set at the Art Cafe and look forward to meeting Lucy and Ash again and the others who work there too. Sue McDonagh’s Amazon bio reads: “Arty, biking, writing granny, that’s me! 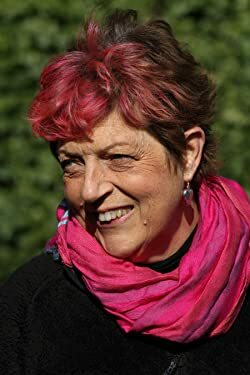 Living on the Welsh coast, right at the bottom before it plops into the sea, I was a policewoman in Essex before I was diagnosed with ovarian cancer at a very early age. Thanks to my amazing family and friends, I made a full recovery, left the police, met the man I then married and went to live in semi-rural Wales – okay, I thought it was semi-rural after living in Essex. I mean, you had to drive fifteen miles to get to a Marks and Sparks. Where on earth did people buy their knickers? All right, it was a small town that thought it was a village. And it had a beach. I fell in love with it, along with the two adorable little boys I inherited. They inspired my passion for painting children, and subsequent career change as portrait painter. I’ve even been on the tv! This sounds perfect for a sunny day in the garden! Oh you’d love all the bits about the bikers and learning to ride then.